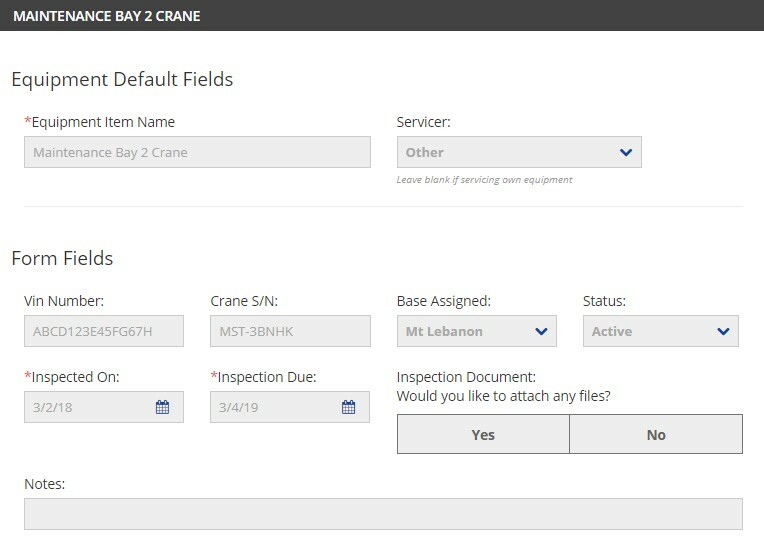 In August 2018, we released Equipment Module, giving you the ability to better manage any and all types of equipment. Since then, we added more powerful tools to give you better control of your equipment. One of those powerful tools is email alerts. These update you when the information most important to you changes for your chosen equipment items. Email alerts can be simple or complex. Want a reminder when your trucks need inspections? Done. Need a reminder when a pump needs routine maintenance? You got it. 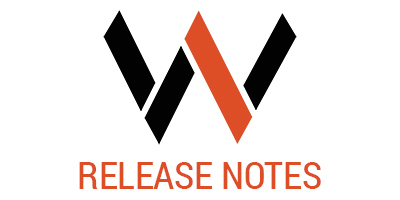 Through the Wellsite Report app, your employees can update company assets. They can update mileage, weight capacities, runs, or any other variable you need to track. You can request emails that send only when specific criteria are met. Alternatively, you can request recurring emails, sent as often as you’d like. These alerts help you avoid failures and safety risks. They keep your team aware and accountable for the assets that matter most. See above an example of equipment used by one of our customers. 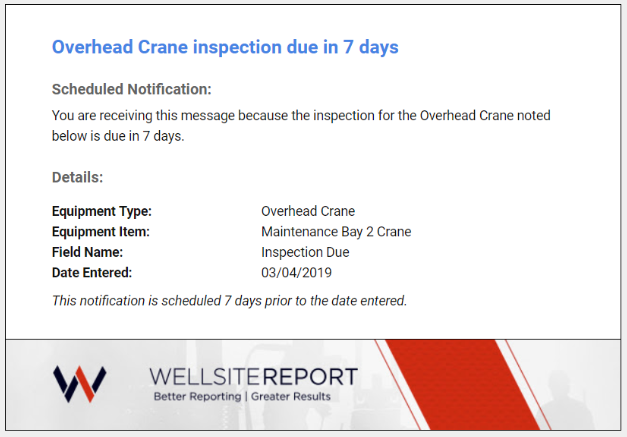 They have email alerts set-up to remind them a week before their inspection is due on their cranes. If they go past the due date without updating the equipment with its new inspection date, another email will get sent to remind them they are past due. Take a look at the email alert example. 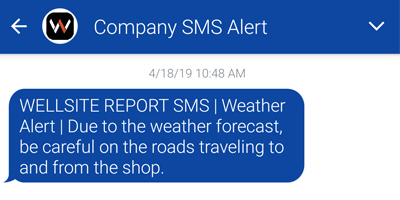 The message gets customized for our customer and says exactly what they need for them to quickly understand and subsequently delegate the alert as needed. Easy, efficient, and completely unique to your company. Equipment Module’s limit is your own creativity. Here at the DigitOil office, we use Wellsite Report’s Equipment Module and its alerts to track our vacation and PTO. When we request time off, an email gets sent to our manager; when they approve it, it sends an email to let us know we are free to take vacation. It’s time for you to apply email alerts to your daily routine and embrace automation. See how easy, organized, and efficient your processes become. Learn more about what kind of alerts and equipment Wellsite Report can create for you. 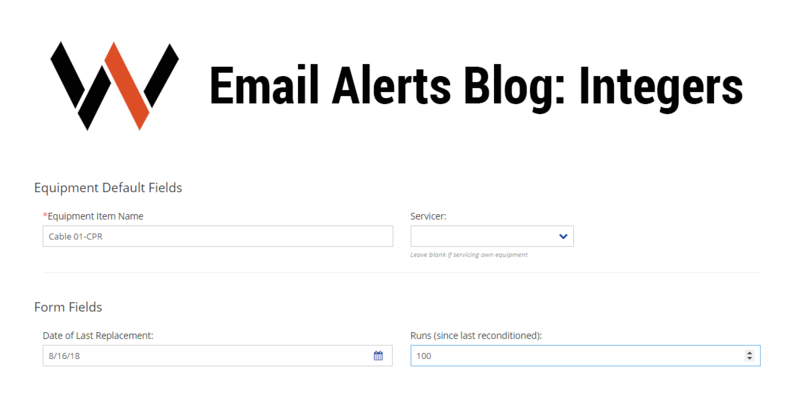 Want to learn more about email alerts and how they work? Stay tuned for our next blog! We will dive into exactly what types of information can have alerts and how to customize them for your company’s needs.